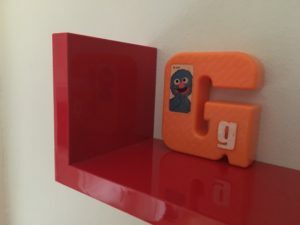 Nearly every night, our family of 4 passes a letter G around our dinner table. As each member takes hold of the orange plastic G, s/he reveals his/her gratitude in that moment. In this self-inflicted busy life, I have found this simple practice of gratitude a grounding way for each member to remember what is truly important. While we do often talk about what we have and where we’re going, we also reflect upon who we are and how deeply we feel. Oprah popularized the gratitude journal in the late 1990s; I am forever grateful to her for highlighting spiritual practices which completely spoke to my soul…and still do. I have come to realize that happiness relies on a higher level of gratitude, for it creates the thought of abundance rather than lack. This optimism, in turn, leads to greater satisfaction with life. Gratitude sure is a powerful perspective! At this time of year, we celebrate my husband’s birthday, while simultaneously remembering his younger brother who died in a house fire. Kevin passed just minutes before midnight on the eve of Brian’s birthday (also the anniversary of their mother’s death from cancer). A once joyful day of life beginning, has been tainted by the tragic deaths of my husband’s two best friends in life. After years of grief, something has shifted. This year, on the evening of the third anniversary of Kevin’s death, we did a round of general gratitude. With the second go-around dedicated to Kevin, my husband began by sharing, “I am grateful for having Kev in my life and for all of the great times that we shared.” Our entire family agreed that focusing on the moments that we had with our loved one was a tremendous blessing. And that’s when I knew that we had grown from full-on grief to healing gratitude, a great gift indeed. What are you most grateful for right now?